Rogue One: A Star Wars Story, or simply Rogue One, is a 2016 American epic space opera film directed by Gareth Edwards. The screenplay by Chris Weitz and Tony Gilroy is from a story by John Knoll and Gary Whitta. It was produced by Lucasfilm and distributed by Walt Disney Studios Motion Pictures. 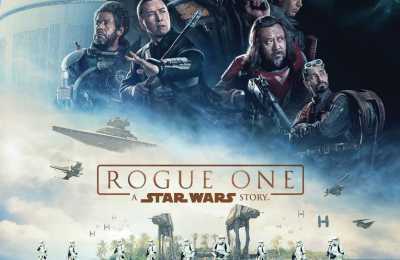 It is the first installment of the Star Wars Anthology series, set immediately before the events of the original Star Wars film, and follows a group of rebels on a mission to steal the plans for the Death Star, the Galactic Empire’s superweapon. The cast includes Felicity Jones, Diego Luna, Ben Mendelsohn, Donnie Yen, Mads Mikkelsen, Alan Tudyk, Riz Ahmed, Jiang Wen, and Forest Whitaker.